Cherry Mobile continues to create devices under its Flare series that even some of its executives lost count on how many models are there already. But, one thing is certain, Flare series devices still sell well, and the several million units sold this 2016 is an evidence hard to dispute. And, it seems that the local mobile brand has no plan of abandoning the Flare moniker, as we are expecting to see more before the year ends, one of them is the Flare J7. 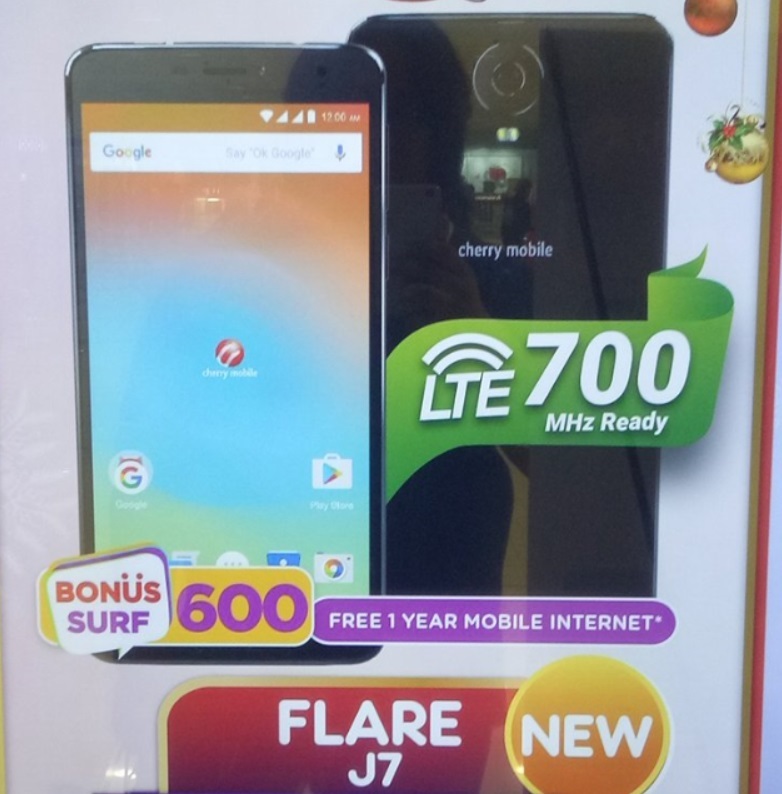 The Flare J7 is currently on top of the Flare sub-family "J" series, it sports a huge 6-inch display with IPS panel and HD resolution. On the inside, it is powered by 1.3GHz quad core processor paired with 2GB of RAM and 16GB of ROM. The chipset used is unknown, but most likely it will be the MediaTek MT6735, as it has LTE connectivity. One of the major selling points of this handset is its big battery, 4900mAh capacity to be exact, making it one of the few CM devices like the Flare J5 that do not use Max or Power on its name. The other listed specs are dual SIM, 8MP rear shooter, 2MP front snapper, expandable storage and runs on Android Marshmallow. In terms of pricing, it has an SRP of Php4,999 and comes with 1 year free mobile internet through the bundled Cherry Prepaid SIM.